Aurora, Illinois ⎯ Simpson Technologies Corporation is pleased to once again be attending the 13th International Foundry Trade Fair (GIFA) to be held this year from 16-20, June, 2015 at the exhibition center in Düsseldorf, Germany. GIFA is the world’s premier trade fair for the foundry industry. Over 800 exhibitors in an all-time record space of 46,360m2 (499,000 ft.2) will present the very latest foundry machinery, plant construction technologies, foundry-related materials, engineering trends, and measurement and testing devices to over 70,000 trade visitors. minimizes the total capital cost to acquire and install the equipment. These benefits create value for a foundry by enabling it to produce molding sand which maximizes the potential of their casting plant to produce high value, high profit metal castings. a Model #MC-150 Simpson Multi-Cooler®, a 135 tph version of the world’s most popular sand cooler and pre-conditioning system. Simpson will be represented by personnel from its Baar, Switzerland office as well as other Simpson team members and sales agents from around the world. 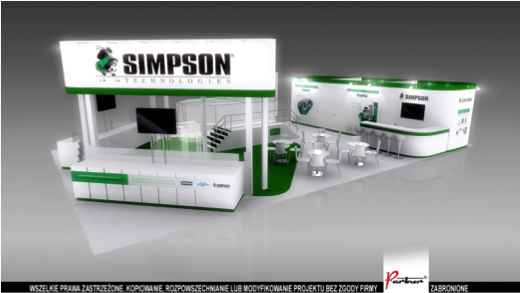 Visit Simpson at GIFA in booth D02 in Hall 15.